Coming from Capcom, the company that has produced some of the top games for the Nintendo Entertainment System, are three new games for the Atari ST. Last Duel, Side Arms and LED Storm are described as "three futuristic adventures." 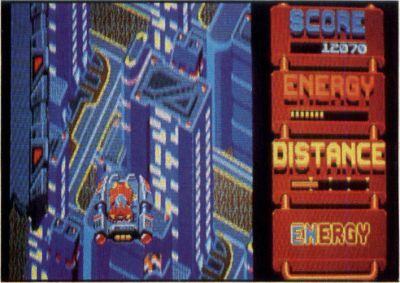 In LED Storm, the player competes in a jet-car competition that takes him through futuristic scenes, such as elevated skyways and a high-tech metropolis. According to Capcom, "LED Storm's music is so innovative that its score won awards in Europe." Last Duel plunges one or two players into an enemy stronghold in search of a kidnapped princess. 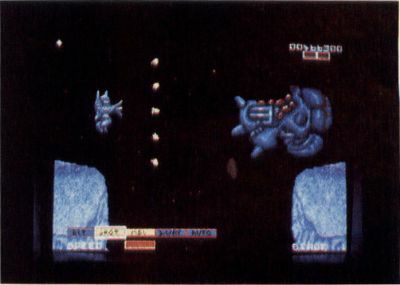 To get around, the players utilize a ship that can transform from a land vehicle to a jet fighter. 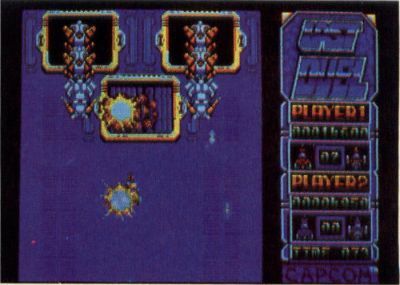 Side Arms is described as a space-opera adventure in which the player must defend Earth from hostile aliens using a special space suit outfitted with various deadly weapons. CIRCLE #124 ON READER SERVICE CARD.